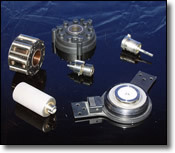 Torque Limiters | HPI Manufacturing, Inc.
HPI Miniclutch Torque Limiters offer precision control of torque release in either direction. Upon the application of rotational force, HPI Torque Limiters release at a pre-determined torque setting. These units are available in both Fiction and Detent versions. Friction units offer smooth release and consistent slip or drag. This motion is perfect for transitional movement such as winding film or delicate tape. The detent model gives an audible and very dependable ratcheting motion. Ideal for industrial applications, these units operate in virtually any conditions. HPI torque limiters are available in torque from fractional in/oz to 1000 ft/lbs. In addition, the shaft size and fastener system is extremely flexible. Fractional torque from in/oz to 200ft/lbs., these units offer smooth release motion and infinite start/stop positions. Dry and Oil Bath systems allow Maximum design flexibility. 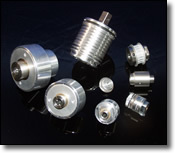 Precision indexing, highly stable detent units are available in torques as high as 1,000 ft/lbs. Simple design is dependable under a wide range of applications. Perfect for setting torque in the field or to each assembly. Adjustable torque limiters are available in both friction and detent models. HPI Miniclutch units are available with complete custom design services. 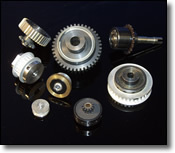 Our engineering staff can modify designs to your specifications. 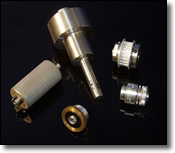 Materials can be selected for extreme environments including marine, corrosives, aerospace, and non-magnetic applications. 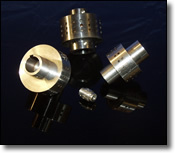 Custom Over-running systems are available in shaft sizes to 2” and torques as high as 1000 ft/lbs. HPI can combine the motion of a One-way unit with reversing torque limiters, solid drive and break-away units, and multiple torque drive systems. 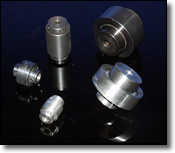 These units are manufactured in an ITAR registered facility and be supplied with DFARS and RHOS compliance.